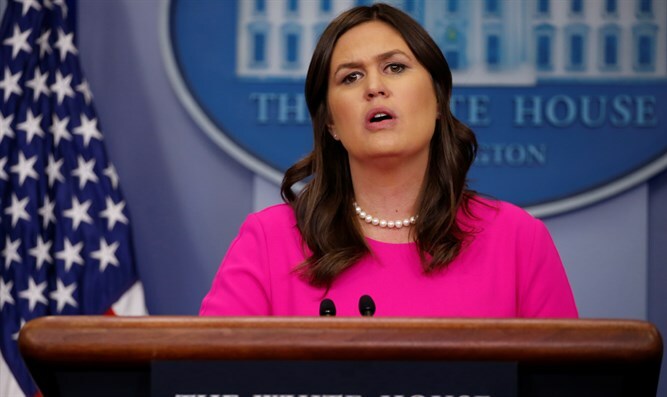 White House press secretary condemns shooting attack on newspaper in Annapolis. The White House on Thursday night condemned the shooting attack in Annapolis, Maryland, in which five people were killed. “Strongly condemn the evil act of senseless violence in Annapolis, MD. A violent attack on innocent journalists doing their job is an attack on every American. Our prayers are with the victims and their friends and families,” tweeted White House press secretary Sarah Huckabee Sanders. Thursday’s incident occurred at the offices of the Capital Gazette newspaper. The suspect is a white male in his 20s or 30s who was taken into custody at the scene and thus far is not cooperating with investigators. Law enforcement officials said earlier the suspect damaged the tips of his fingers in an apparent attempt to thwart efforts by police to identify him by his fingerprints. CNN reported that the suspect was identified using facial recognition software. President Donald Trump, who was updated on the shooting incident, later offered his condolences on Twitter. "Prior to departing Wisconsin, I was briefed on the shooting at Capital Gazette in Annapolis, Maryland. My thoughts and prayers are with the victims and their families. Thank you to all of the First Responders who are currently on the scene," he wrote.